While on the topic of the sufferings of rental instruments: When we started a rental program, a friend warned me that I’d regret renting cellos. Here’s one reason why. These babies cost a lot of money, but not enough to justify fixing something like this. 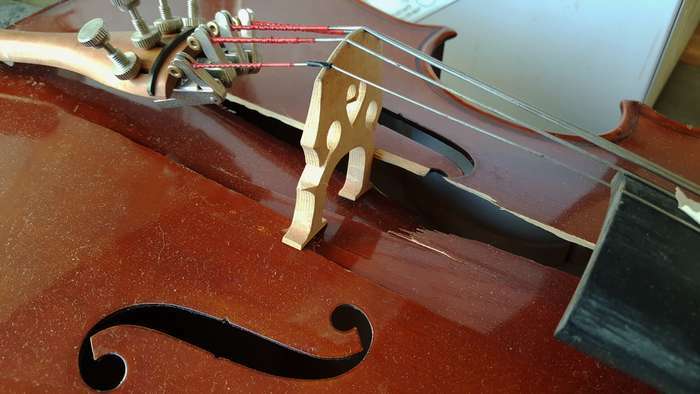 I once repaired a fine old English cello that someone had backed a van over, and it wasn’t this bad.